If you haven't yet placed the Order, the Order Status will be Open, meaning it is still a draft. Any changes can be made directly and will be saved automatically. 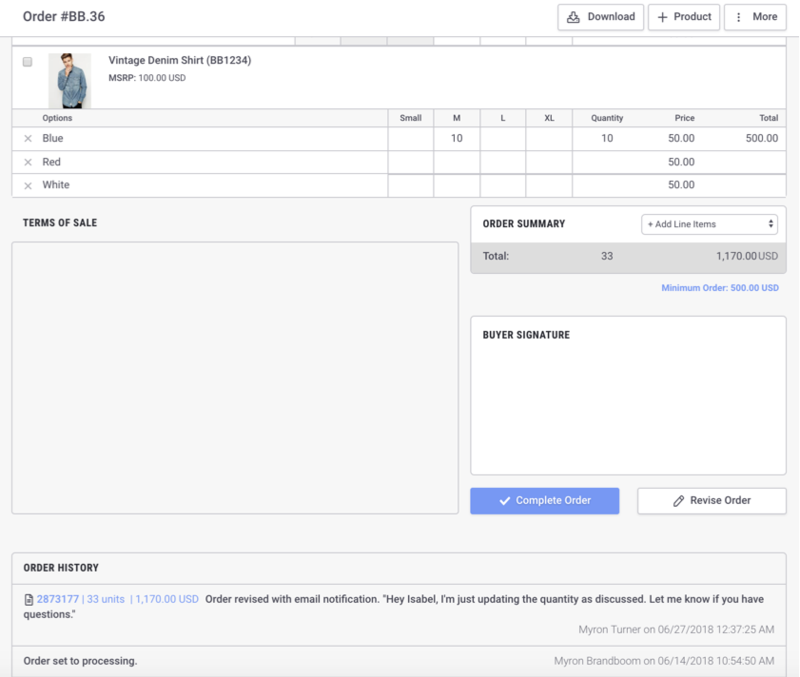 When the Seller or Buyer clicks Place Order, the order will then be set to "Processing" and both parties will receive an email with confirmation. At this point, it is assumed that both the Seller and Buyer have agreed to the order as it is represented, so any further changes should be made aware to both parties. A prompt will appear with a field for you to enter a summary of changes. The notes you enter here will be seen in the Order History and in the notification email that is sent to the buyer if you decide to send one. 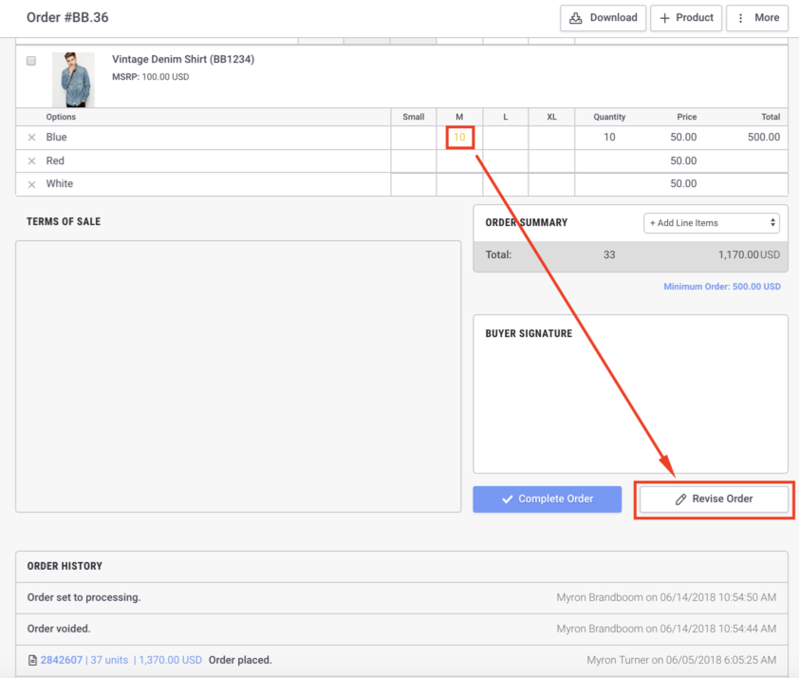 All revisions will appear at the bottom of the order in the Order History for both parties. 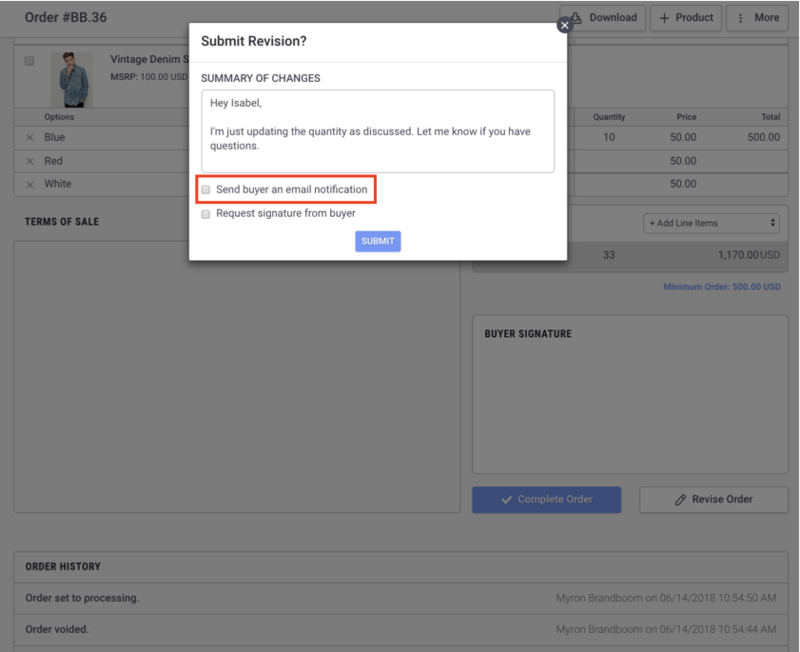 See this article for steps on how to "Reopen" your order and allow the buyer to make revisions.